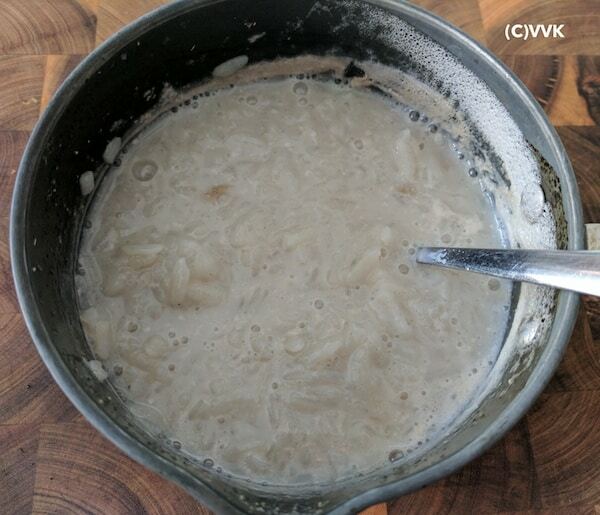 Kheer, Payesh, Payasam, Payasam, Phirni, Fereni is nothing but a simple yet delightful rice pudding, a popular dessert recipe from our Indian subcontinent. 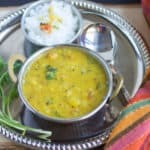 It is prepared with milk and the rice/tapioca/wheat/dal/vermicelli/beaten rice and sugar with the flavors of saffron or cardamom or both. 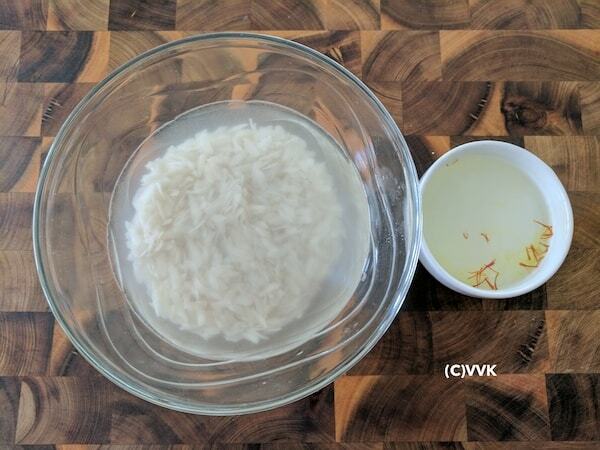 There are zillion variations to this kheer recipe, and today I am going to share my vegan version. I love flattened rice or poha or as we say in Tamil, Aval. 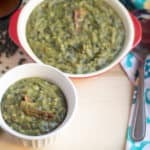 It’s a versatile ingredient, and it takes very less time to cook and when the time is pressing this flattened rice based recipes are one among my go-to recipes. I had posted Aval Payasam back in 2010. (Time just flies). 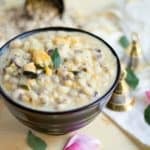 During festive days, I always opt for poha kheer as it’s easy to prepare. When I picked the vegan sweet theme, I wanted to post a vegan kheer for sure. I love to experiment with the non-dairy milk products. The recipe that I posted yesterday was with coconut milk cream so today it’s with almond milk. Still, need to experiment soy and cashew milk. 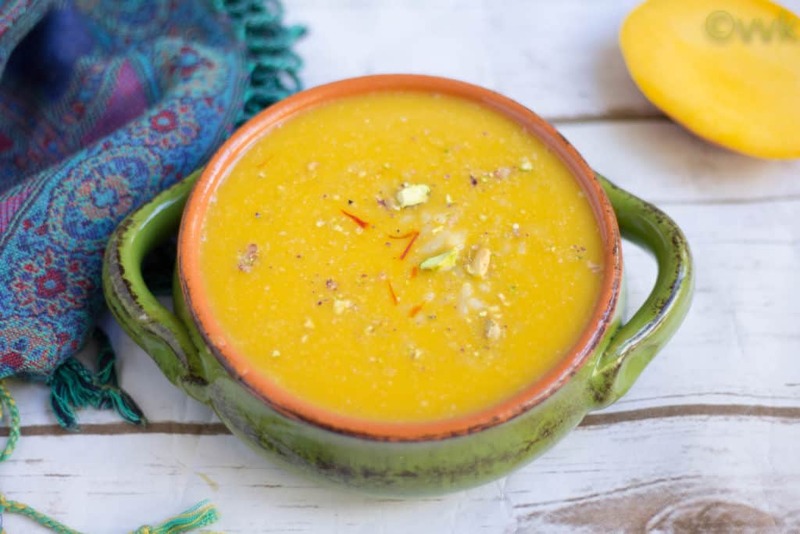 :-) This Mango Phirni is also super simple to prepare. 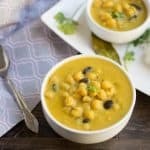 You cook poha in almond milk along with sugar, and while it’s cooking, you can make the mango puree and the saffron mix. Then allow it cool and add the mango puree and saffron water. That’s it. Super simple huh? So now without any further ado, here is the recipe. Wash and soak the poha for about 5 minutes. Add the saffron to the warm water and set aside. Wash and peel the mango and chop the pulp. Puree this by adding 2 to 3 tbsps of water and set aside 1 cup of puree. 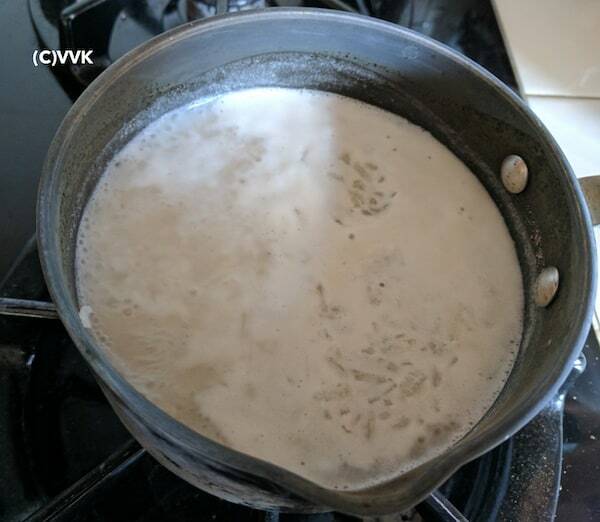 In a heavy bottom vessel, add the sugar and almond milk and simmer it over a low flame until the sugar dissolves. Once the sugar is dissolved, add the washed and soaked poha and cardamom powder. Let the flattened rice cook over low flame. 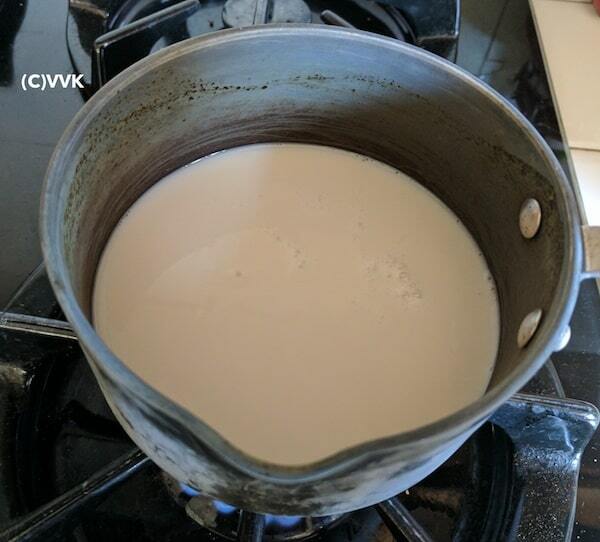 It will take about 5 to 7 minutes and when the milk mix becomes frothy like below, turn off the heat. We don’t want the poha to lose its shape. Let it this mix mixture cool. As the mixture cools, it will thicken up. 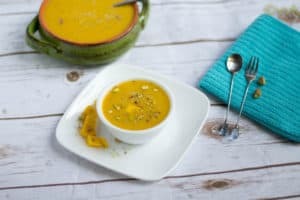 When it comes to room temperature, add the saffron water and mango puree one by one and mix them gently. That’s it. Mango Phirni is ready. Garnish it with nuts or saffron strands and serve cold. If you soak the poha for more than 5 minutes, make sure you do not cook more than 3 to 5 minutes over stop top. It is better to drain the water after 5 minutes. I would recommend thick poha for this kheer. If you are using thin poha, then after washing the poha drain the water and do not soak them. You can replace almond milk with your preferred non-dairy milk or regular milk. Add the mango puree after the milk mixture is cooled down to room temperature. 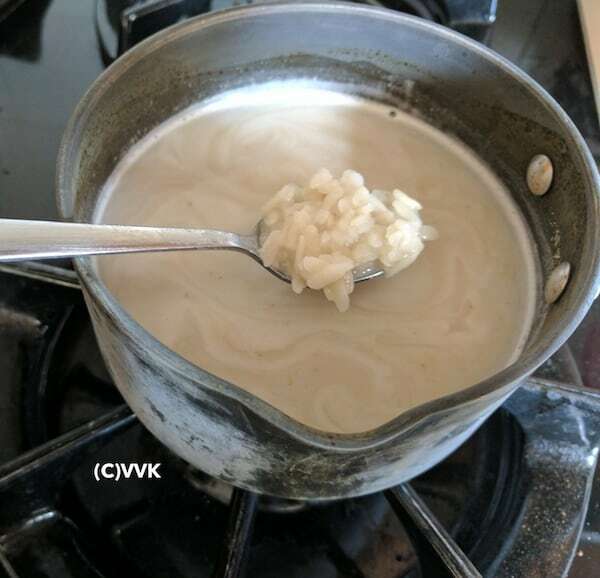 The kheer thickens up as it cools down. After adding the puree, if you prefer thin consistency then add more milk. 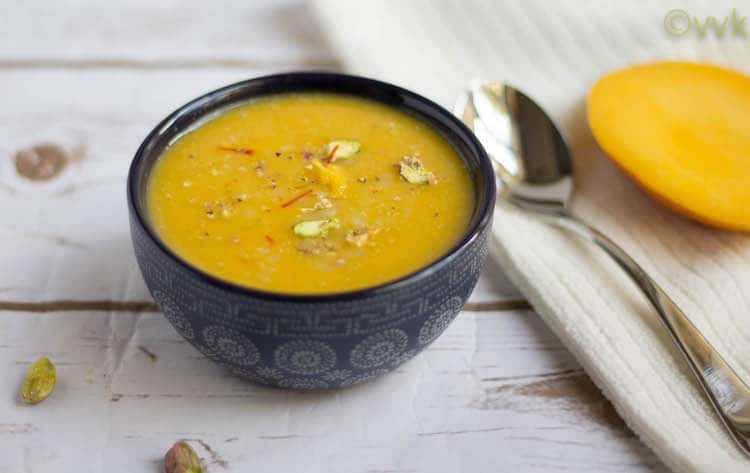 Vegan Mango Phirni – The vegan version of the famous Indian Kheer prepared with almond milk, sugar, flattened rice with the flavors of mango and saffron. Wow that is awesome. 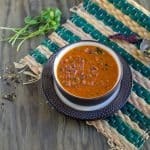 I love the way you have used vegan ingredients ato make this delicious dish. 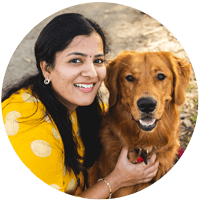 yeah da… kandippa va.. will make specially for you. Lovely photos and what an innovative way to use flattened rice by adding mango. 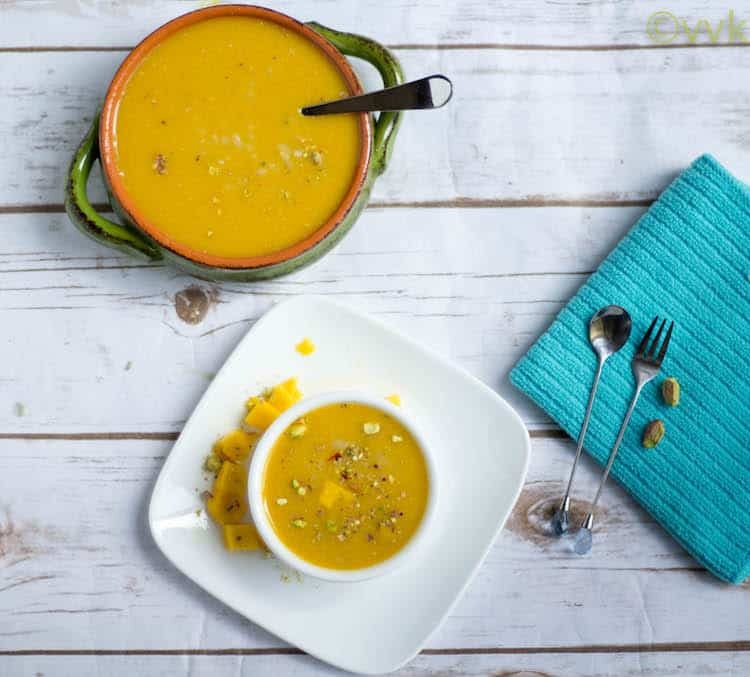 Oh love your presentation!..whatever you have done, pls keep, the composition seem to come out awesome..:)..and is it mango theme or vegan..heheh..I am enjoying either ways.. 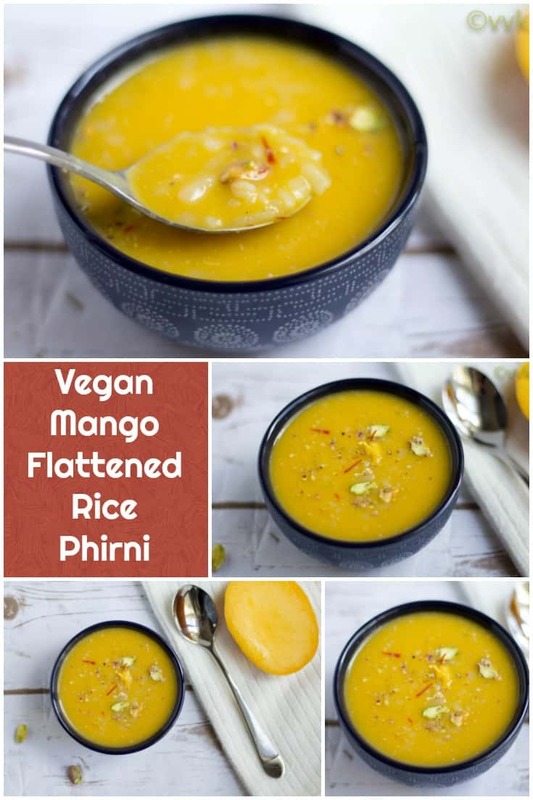 I am a great fan of phirni and to prepare it with Poha , awesome , you have taken the dessert to a completely different level by using mango and almond milk . 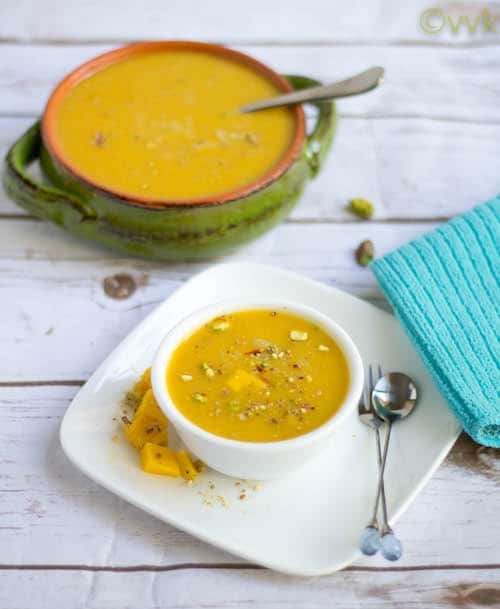 I am a great fan of phirni and to prepare it with Polaris awesome , you have taken the dessert to a completely different level by using mango and almond milk . Omg, you are torturing me with your mango desserts, and this phirni rocks Vidhya.